We are one of the eminent firms, offering high quality Wooden Grain Fence for Garden. The offered grain fence is manufactured from the high quality material in conformity with international standards with the help of advanced techniques. 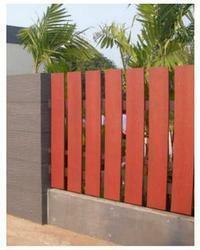 This grain fence is available in diverse specifications as per the needs of customers. We are giving this grain fence to our customers in a given time frame at nominal rates. Looking for Wooden Grain Fence for Garden ?